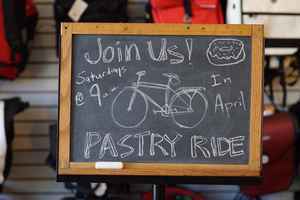 Birds chirp, leaves bud, baseball starts, taxes are due… THIS is when you know it’s time for NE Minneapolis’ signature community-building event, the Hotdish Revolution! So start your ovens! Chill your molds! 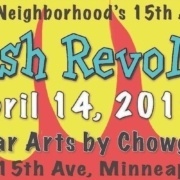 And join us for the 15th Annual Hotdish Revolution at the one and only Chowgirls at Solar Arts amazing event venue atop the Solar Arts Building! Whose tater tots will be the crispiest? Whose Jell-O sculpture will astound and amaze? As always, we hope you’ll try your hand at entering a creative hotdish and that you’ll bring your friends to stack the vote for you. This quintessential community-building gala for NE Minneapolis is brought to you by HNIA Holland Neighborhood Improvement Association and is a gleeful contest for hotdish makers and Jell-O aficionados, as local “celebrity” judges decide who will reign supreme in a number of casseroles (gasp! the “C-word” is prohibited!) categories… um… we mean *hotdish* categories! After the winners are chosen, everyone gets to sample the offerings against a backdrop of music, local craft beer, and general revelry. – “Wall of Beer” a.k.a. the “Beeramid” raffle generiously donated by Central Ave Liquor!